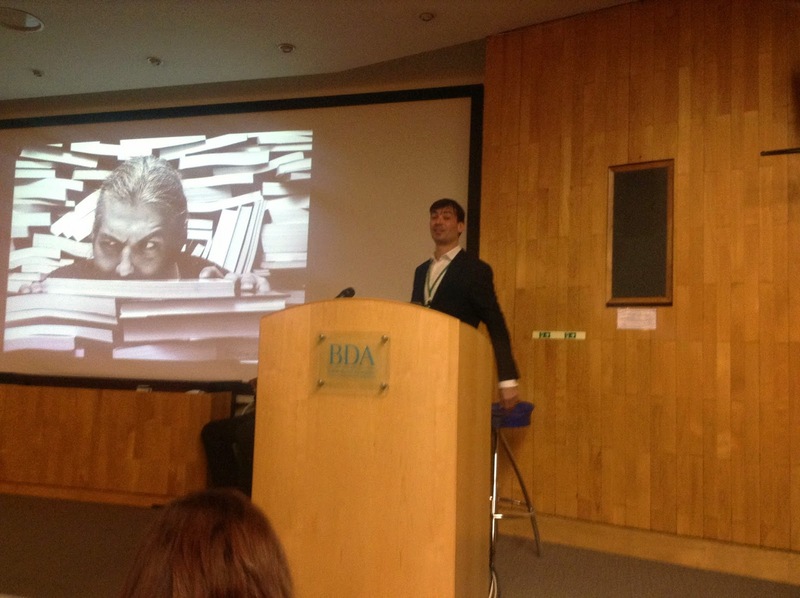 ALPSP blog: at the heart of scholarly publishing: What next for social science books? What next for social science books? Legal practitioners have different needs to scholars, so where does a book fit into a world of online services and workflow support? Daniel Pollock, Publishing Director at Jordan Publishing considered the opportunities in the post digital world. Based on his experience working in an agency environment in the past, Pollock learnt many lessons that apply to publishing. First, you need to articulate your core proposition. If you're aiming for a forward looking market, products and services, make sure you reflect that in what you do. Pollock cites Practical Law Company as one of the most successful legal publishers who focused on a customer focused strategy driven by need. Grew from £6 million in 2003 to £60 million in 2013. They were lawyers, not publishers. By talking about the future of the scholarly book, you're at risk of putting the cart before the horse. You may or may not need it. Alison Shaw, Publishing Director at Policy Press provided a refreshing view of how scholarly publishers have to provide new solutions for their readers' changing needs. They used to disseminate research and were embedded in a department so understood the needs of researchers. Since then, priorities have changed. Researchers want ownership of their work, they want to share it, they want career development. They want a publisher with high esteem who can publish in a timely way and disseminate it. But they also want impact and in a sense, to change the world - or our understanding of it. For many people in the social policy world, books are still very important. The book may have changed, but the need to have a long form argument is still important. There is a current trend for consolidation into massive companies. 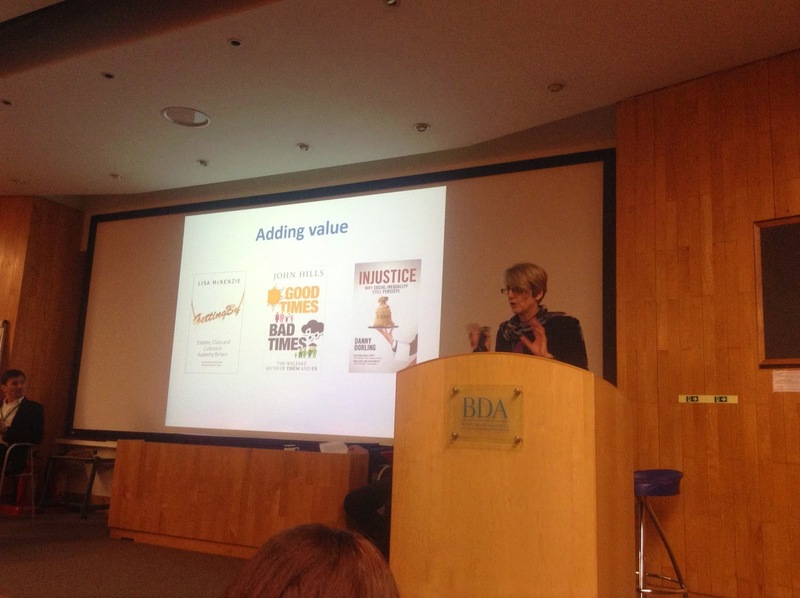 As a tiny publisher they have had to compete and add value in innovative ways. One approach has been to launch a trade list. Getting By by Lisa McKenzie is a title from an early career academic who approached them with her PhD. They encourage her to combine her passion for campaigning for social equality with her research specialism. Massive media coverage has resulted. Using trade and media as well ebook format giveaways on other titles help research have a wider impact. With Revisiting Moral Panics, they have 18 different versions for whole, part, chapters and so on. it's an experiment to see what will happen. Policy Press are experimenting with short and mid form publications with a 12 week turnaround. Shaw sees a work as not just a book, but a core piece of content with related content all around it. It could be free policy briefings, practice guides, reports, social media content, data sets. It's about dissemination in the round. Some parts are static, some are interactive. They are thinking about supporting an author to maximise their reach and impact. Discoverability is key with tagging, data, analytics tools. they're providing free shareable content marketing, but everything links back to the book. Shaw noted that often the journal world is often ahead of book publishing. They are monitoring and seeing what can be adopted to enhance what they want to do. There are many issues to iron out with monographs when it comes to open access. In social science, there will be many who won't have access to funds. Patron Driven Acquisition presents a challenge with low usage. Looking at models for different ways of selling, bundling print and e, freemium/premium, portals, subscription and so on. 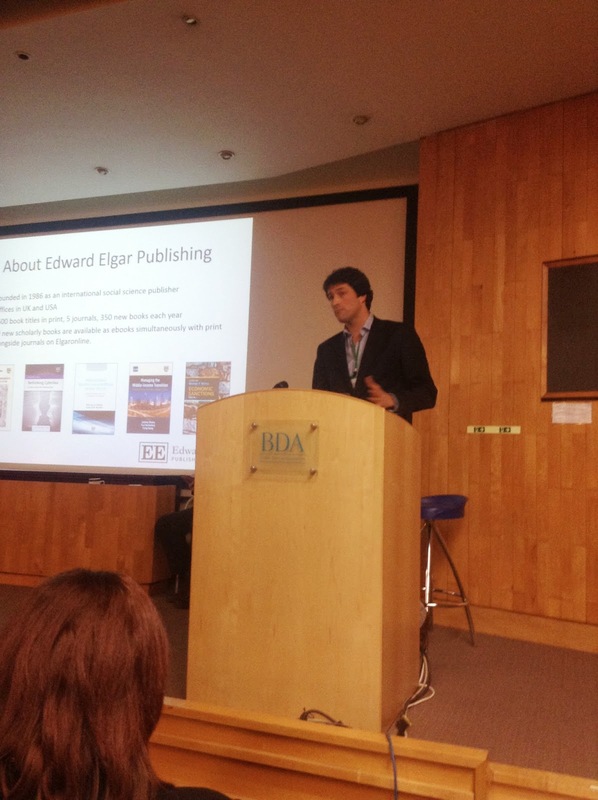 Tim Williams, Managing Director of Edward Elgar Publishing asked whether is it inevitable that technology and business models for ebooks seem to be converging with journals. Trends include long term decline in print runs, the growth in ebook aggregators and new business models, pressures on publishers to justify value they add and disseminate widely. There is a shift in customers and authors from West to East and the looming question on what will happen with Open Access. However, the convergence of book and journal content is key for Edward Elgar. Digital migration is happening - 30% of the book revenue is now digital. Books are now included alongside journals in the same discovery technology. Citations are increasingly being counted and used for books. There is a move away from one book one price to lots of books with variable pricing. Books are longer than journals, are more diverse in purpose and audience, more of a relationship between the reader and author, and the author/publisher act is more of a partnership. What next for humanities books? What next for science and engineering books?